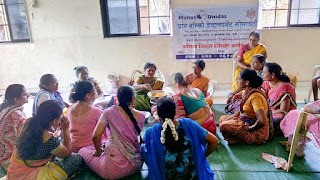 Pune, 14-September-2017: The Don Bosco Development Society (DBDS), Pune organized 5 days training workshop from 11 to 14 September 2017 on ‘Soybean Products Making Business’ for the women Self-Help-Group (SHG) members of Bopodi slum in Pune. 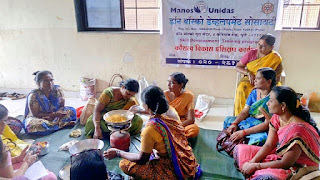 This training programme was held under the aegis of ‘Women Empowerment Project’ supported by Manos Unidas, Spain. 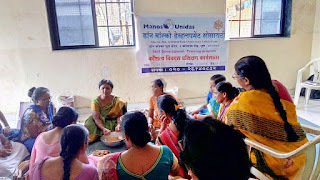 15 women from the slums successfully completed the entire training. 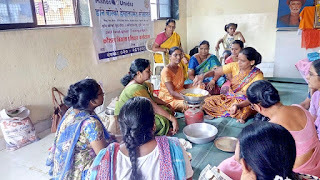 The objective of this training was to impart skill and knowledge on Soybean products making as an income generation activity to supplement their family income. The training was imparted by ‘Kasturba Mahila Khadi Gramodyog Vidyalaya’ which is a government recognised training institution. Both theory and practical sessions were taken by the resource persons. 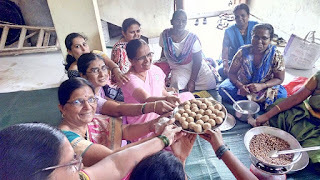 6 different kinds of Soybean Product i.e Soya- Atta, Soya- milk, Soya-paneer, Chana, Soya-Laddu and Soya-curd were taught to you. They also took special session on marketing, costing, Budget, Product price and how to sell products in market. The women went back delighted at the end of the 5-day training workshop.